Find hotel near Archaeological Museum Of ..
Also known as the Town Museum of Budva, the Archaeological Museum of Budva is known for housing an impressive collection of Budva’s treasures that have been put out on display for the visitors. In spite of most of Montenegro’s artifacts have been shipped off by other countries, the Museum of Budva does not fail to deliver. Most of the exhibits here describe what life was like at the brink of the 19th century. Going as far back as 500 BC, the museum does a fine job tracing the history of Budva and presenting them in a comprehensive manner to both understand and empathize. Tickets for children is available at €1. Love this? Explore the entire list of places to visit in Budva before you plan your trip. Fancy a good night's sleep after a tiring day? Check out where to stay in Budva and book an accommodation of your choice. 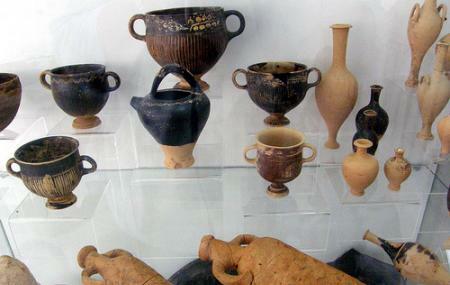 How popular is Archaeological Museum Of Budva? People normally club together Budva City Walls and Trg Izmedju Crkava while planning their visit to Archaeological Museum Of Budva.